Cold Laser Therapy is one of the most technologically advanced pain relief techniques used in our clinic today. From knee, neck injuries even nasal congestion, Cold Laser Therapy uses low level lasers to increase blood flow within injured tissue. The treatment is painless, reduces inflammation and promotes healing on a cellular level while increasing muscle elasticity. Cold laser has been a therapy used in Europe since the 1960’s and was approved by the FDA in the early 2000’s. 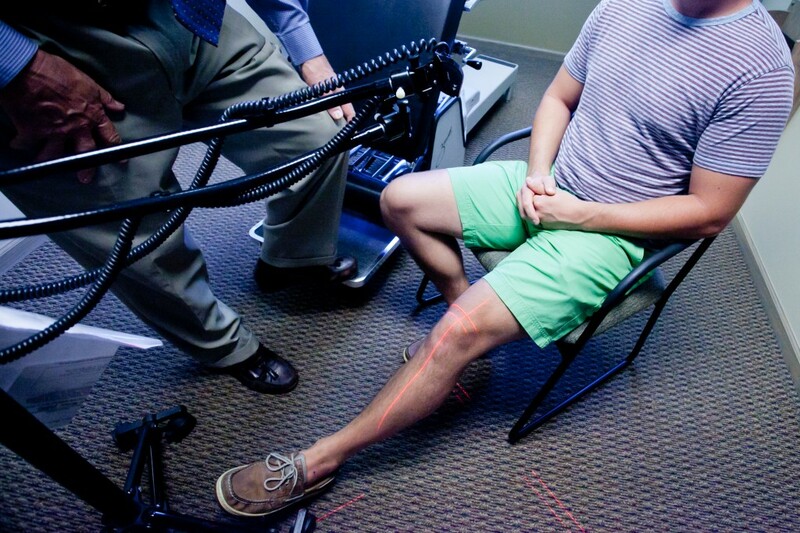 Many Student and Professional athletes use cold laser therapy on many of their injuries including, knee injuries, sprained ankles, wrists, neck pain, back pain, shoulder pain, even a common headache. Sports injuries can cause damage to soft tissues cells that release chemicals, provoking a inflammatory response in the body, swelling and pain in the injured area. Recurrent injuries can leave athletes prone to early-onset arthritis or degenerative changes in their joints. Using cold laser therapy helps reduces inflammation and promotes healing so athletes can get back on the field. “My son is a competitive soccer player and gets injured often. Four days before a tournament he sprained his ankle bad. We went to Urgent care and they did nothing! After we went to see Dr. Brusveen and by the third day the swelling was gone! With Dr. B’s light adjustments to the ankle and laser therapy my son has been able to stay on the field all season!” Carrie B. “While training for a marathon, I was running and fell in the street spraining my ankle. It immediately started to swell and caused tremendous amount of pain. I was heartbroken, thinking I would have to stop training to heal for a few weeks. Dr. B examined my ankle, then realigned it and put the laser on for about 10 minutes and I was pain FREE! Still Swollen for a few days but I could walk better, and healing went fast!” Karen G.